With house prices continuously on the rise, it is perhaps one of the most difficult times for first time buyers to get on the housing ladder. Saving for a deposit can be an uphill struggle. Fortunately, first time buyers can get a mortgage with a gifted deposit. That said, it’s important to take the correct steps in making sure your gifted deposit is acceptable by lenders. If you wish to use a gifted deposit for a mortgage, lenders and solicitors have a legal duty to ensure that your deposit gift is credible. For instance, your deposit gift can come from family savings and not a third party loan. In addition, lenders particularly need to establish that the deposit is being gifted and not loaned. A deposit that is loaned and not gifted, can be a red flag for the majority of lenders. A gifted mortgage deposit is where your entire deposit or part of your deposit is given to you. A friend or family member can gift you a deposit, however some lenders do prefer gifted deposits from family members, rather than friends. If a deposit is given to you in the form of a loan, then this does not constitute a gift. If you have to pay the deposit back at any point, then this also doesn’t constitute a gift, as it becomes a loan. It’s important that the funds also have a clear paper trail. For instance, lenders and solicitors will need to see that the funds have come from a legitimate source. This is due to anti-money laundering regulations and is a legal procedure. If the above is not clear, then it may halt your mortgage offer and delay your solicitors in completing the property transaction. Furthermore, it can also result in your mortgage application being declined. Collating the right evidence is key in providing clarity to lenders that your deposit is a legitimate gift. By following these simple steps, you can ensure that you’re approaching your mortgage in the best way possible. Providing proof that your deposit is a gift and not a loan, is the first step in getting a mortgage with a gifted deposit. This can be quite simple. A signed letter or document outlining that the deposit is a gift and not a loan, is typically enough to satisfy lenders. The signed document should clearly state that the deposit is not a loan and doesn’t need to be repaid back. In addition, it should also state that the gift doesn’t grant your friend or family member any rights to the property. Your mortgage advisor can provide you with a document template if you’re still unsure. The document should be signed and dated. A witness will also need to sign and date the document. The person gifting you the mortgage deposit will need to provide personal documents to the lender. Documents include a photo ID, such as a driving licence or passport and proof of address, such as a bank statement or utility bill. Some lenders and solicitors may also make it mandatory to provide bank statements. This is so they can check how the funds for the gift have accumulated. The reason your friend/family member has to provide such documents, is to comply with anti-money laundering regulations. Your solicitor will also request such documents. What if I need to repay my deposit back? If your deposit needs to be repaid to your friend or family member, then it is not a gift, it is a loan. If the deposit amount is loaned to you, then you’re likely to be rejected by a lender. It’s important to understand that as your deposit is being loaned to you, it also counts against your outstanding debt. When lenders make mortgage assessments, they calculate what you currently owe. This can include unpaid credit cards and items purchased using a form of finance, such as vehicles. If your deposit is in the form of a loan, it really doesn’t help your application in any way. Nonetheless, there may still be some lenders you can approach. It simply depends on the rest of your criteria and the mortgage amount you’ve applied for. If your deposit is a loan, it would also imply that your friend or family member has some security over the property. This is certainly not good news for lenders. Lenders want to be sure that their funds are secure. Any other interested parties can compromise a lender’s position. 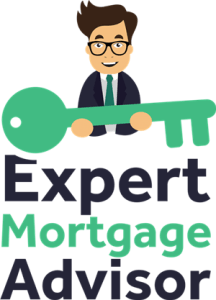 Learn more: What can I use for a mortgage deposit? Can I use a guarantor instead of a gifted deposit? Rather than a friend or family member gifting you a deposit for a mortgage, they can act as a guarantor for your mortgage. What this means is, your friend/family member acts as a guarantee for lenders. A deposit is not gifted, however lenders have the security in knowing that they can approach a guarantor, in scenarios where mortgage repayments fall behind. Read more: Guarantor mortgages explained. 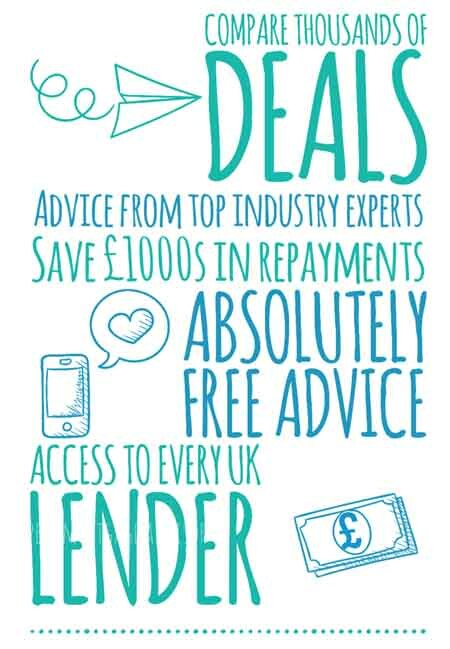 Our advisors specialise in mortgages for first time buyers. Furthermore, where gifted deposits are concerned, we can make sure that your deposit evidence is structured in the correct manner. Lenders vary considerably in who they’ll lend to and how much they’ll lend. Applicants can be declined by one lender, only to be accepted by another. Buying your first property can seem like a daunting experience, especially with so much conflicting advice. An advisor can explain the entire process to you and guide you through until completion. You can make an enquiry below to speak to an advisor today.